Valentine’s day unfortunately lands on a Thursday this year. If you don’t have the time or energy to leave the house and go out for Valentine’s day after a long day at work then you could have a date night in. Whether you’re celebrating with the girls and having a gossip over pizza or having a film night with your partner, we have some great money saving tips to share with you. A great way to save money is to watch movies at home rather than going out to the movies. Valentine’s day is the perfect excuse to watch a good old romantic comedy. After a long day at work, rather than spending a fortune at the cinema, a cosy night in with your loved one sounds like a dream. Creating a cinema in your own home will save you quite a bit of money especially as cinema snacks are so expensive these days. As it is Valentine’s day you may want to treat each other a little bit. Chocolate makes a great film snack and with the help of our incredible deals you can save up to 15% off on all Valentine’s Chocolate at Cadbury Gifts Direct. To set the cosy and romantic scene, light a few candles, turn on the fairy lights and snuggle up in freshly washed sheets. There’s no need to go out and buy a new dvd just for the occasion. Go through your stack of dvds together to find a good classic rom-com. Being single is so much cheaper! If you’re single, invite your friends over for a massive pamper party this Valentine’s day. A great money saving tip is to get everyone to bring their own alcohol and snacks for everyone to share and enjoy. Set the scene by putting on a girly film or playing love songs (which are perfect for karaoke but hopefully there will be no tears over recent breakups after a few glasses of wine). For the ultimate pamper party, you need to facemasks and lots of pretty coloured nail polish. To save money club together to purchase a few different facemasks and nail polish. There are great offers on at the moment at The Body Shop and all of their products are cruelty free too which is a bonus. Painting each others nails is so much cheaper than going to a nail salon and is so much fun too. Eating in can be so much more fun than eating out and is also a lot cheaper. First of all, you can set the mood just how you like. Light candles, put rose petals everywhere or decorate the room with your favourite photos together so you can reminisce on good times while you eat. There are so many takeaway options nowadays. You can enjoy a posh Italian meal, pizza, Indian or just order dessert at Just Eat. 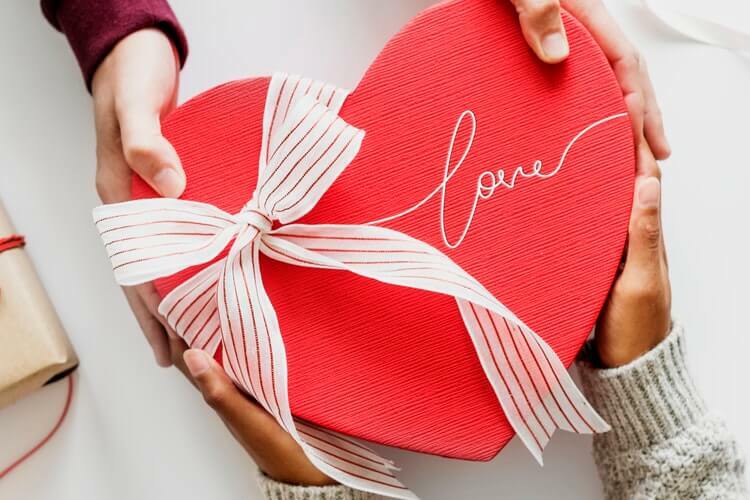 With Valentine’s day just around the corner, Just Eat has so many incredible offers and discount codes so make sure to check those out if you want to grab yourself a bargain. Another great way to save is to invite other couples (if you don’t mind) over for dinner so you can share the cost. Valentine’s day is a really busy time so make sure to get your food order in early to avoid disappointment. 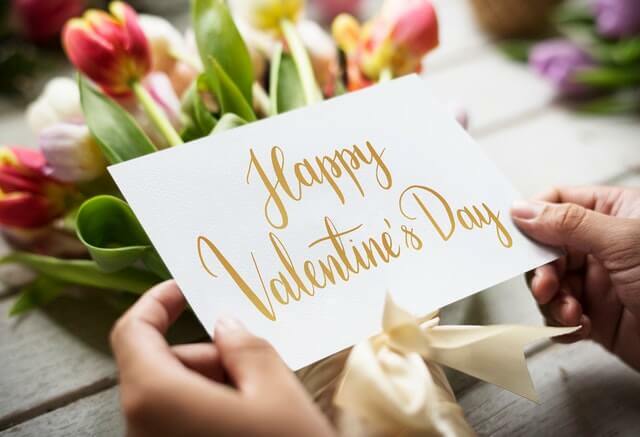 If you don’t mind celebrating Valentine’s day a day or two later, you can make even bigger savings. Lots of Valentine’s themed merchandise often goes on sale as soon as it’s over so keep your eye out for those great deals.